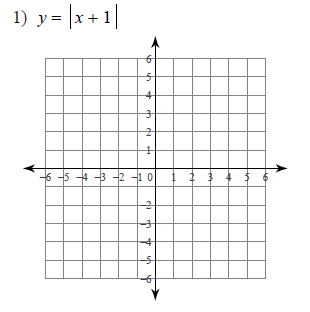 The graph of an absolute value equation will be interesting because of the unique nature of absolute value. Absolute Value is never negative. 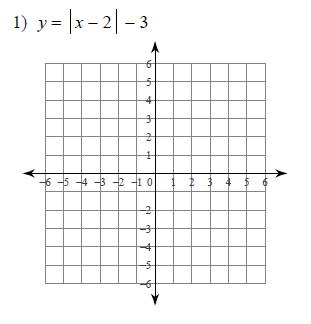 As a result, the graph of an absolute value equation will take on the shape of the letter \(V\). Plot the value of \(x\) such that the expression inside the absolute value bars is \(0\). Plot one \(x\) value less than that value. Plot one \(x\) value greater than that value. Solution: We make a table of values. 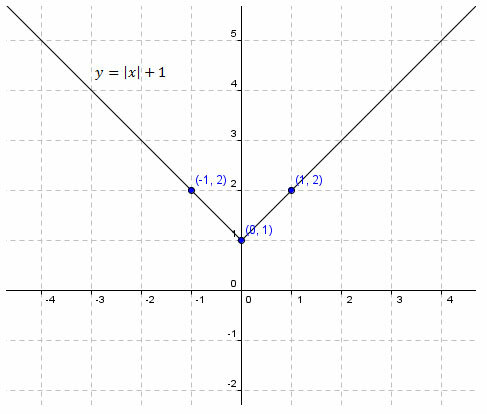 Following the procedure from above, we first plot that value of \(x\) that would make \(\left| x \right| = 0\). In this case, the value is \(x = 0\). Next we want to plot a single value of \(x\) less than \(0\), and a value of \(x\) greater than \(0\). We choose \( - 1\) and \(1\). 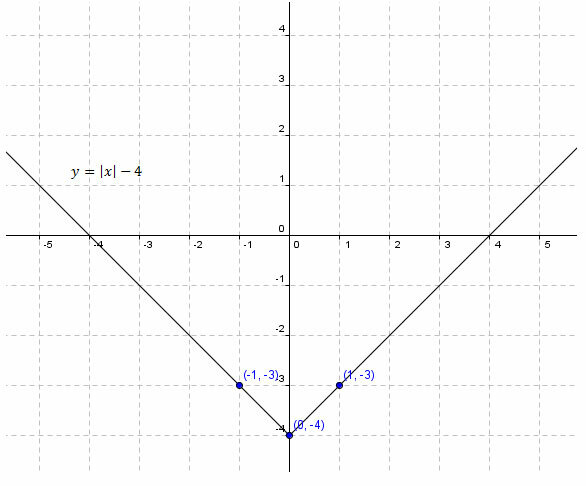 Now it’s as easy as plotting the points and connecting the dots, remembering that the shape of the graph of an absolute value equation is always the shape of \(V\). The graph is below. Now let’s try one more example. 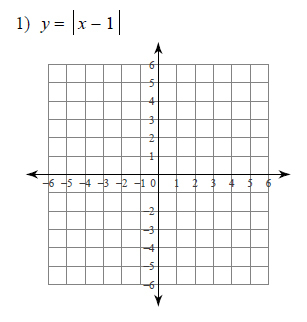 Solution: Again, we plot the value of \(x\) such that \(\left| x \right| = 0\). That is \(x = 0\). Then we plot \(x = - 1\) and \(x = 1\), that we have one value less than 0, and one value greater than 0.